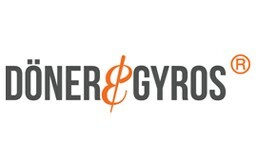 Doner & Gyros is currently closed for delivery and it will open at . Beef , fattoush salad and creamy hummus served with traditional sumac and all the traditional fixings for that true arabian flavor. chicken, fattoush salad and creamy hummus served with traditional sumac and all the traditional fixings for that true arabian flavor. Go meat free with delicious grilled vegetables- eggplant, zucchini, mushrooms, mixed bell peppers plus fresh lettuce, onions, tomatoes and red cabbage along with our custom sauce blend and crispy flat bread. Satiate your hunger with a hearty doner rice bowl- our succulent chicken, red cabbage, flavorful rice, and traditional Tzatziki sauce. Satiate your hunger with a hearty doner rice bowl- our succulent beef, red cabbage, flavorful rice, and traditional Tzatziki sauce.